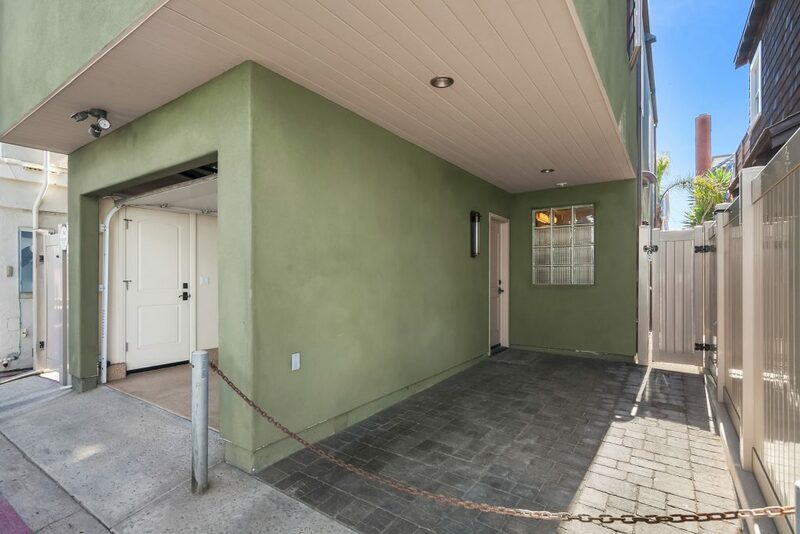 732 York Street is one of the most unique, feature-rich three-bedroom, three bath homes west of Mission Boulevard. 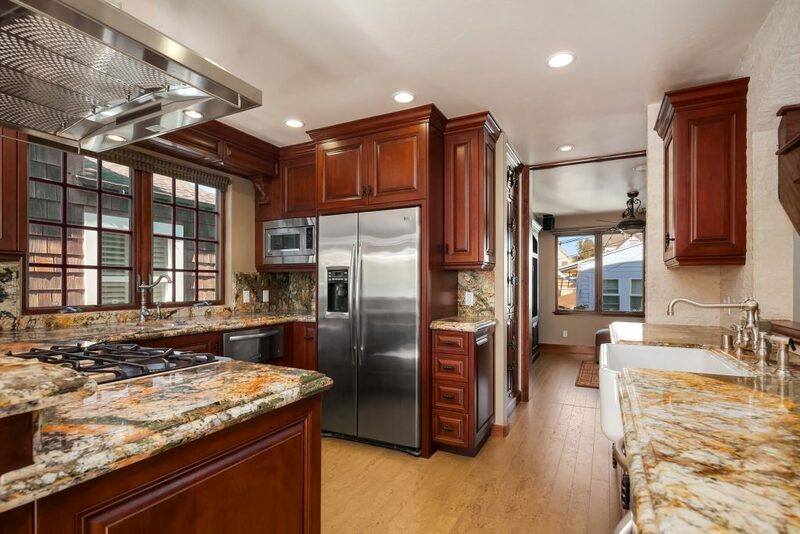 Built in 2013, it’s practically brand new and ready for YOU! 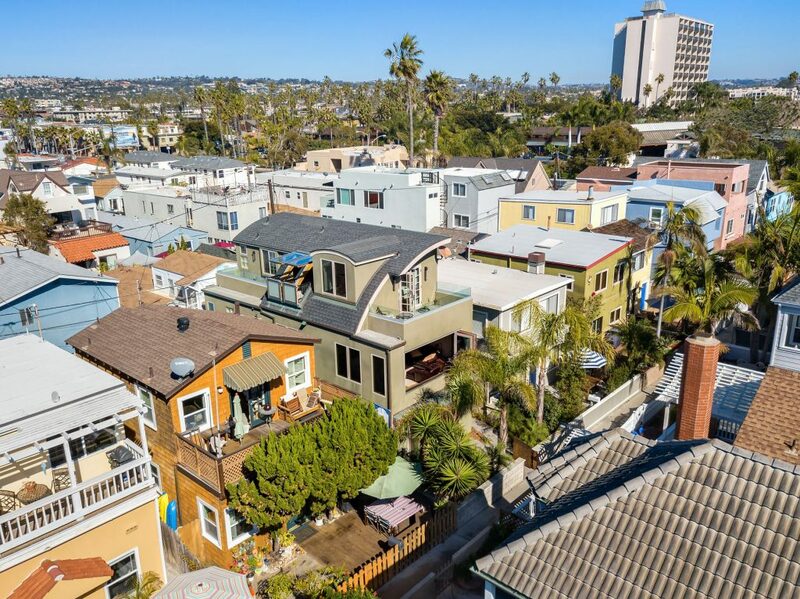 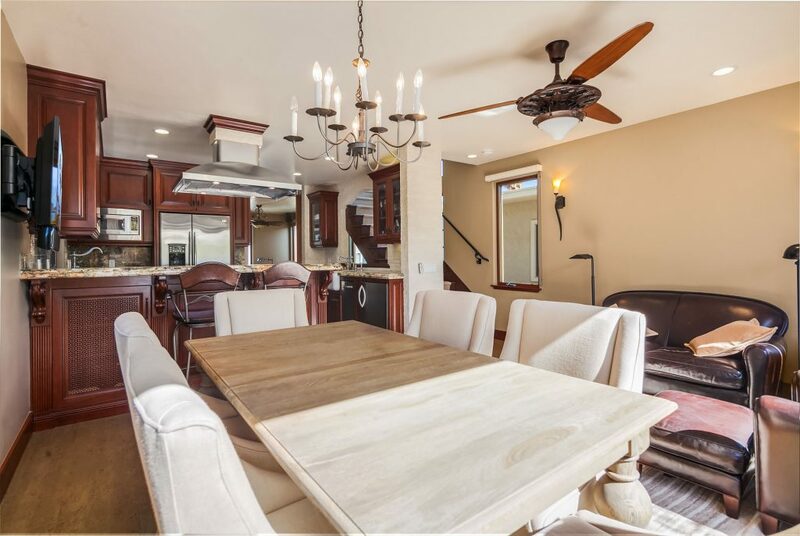 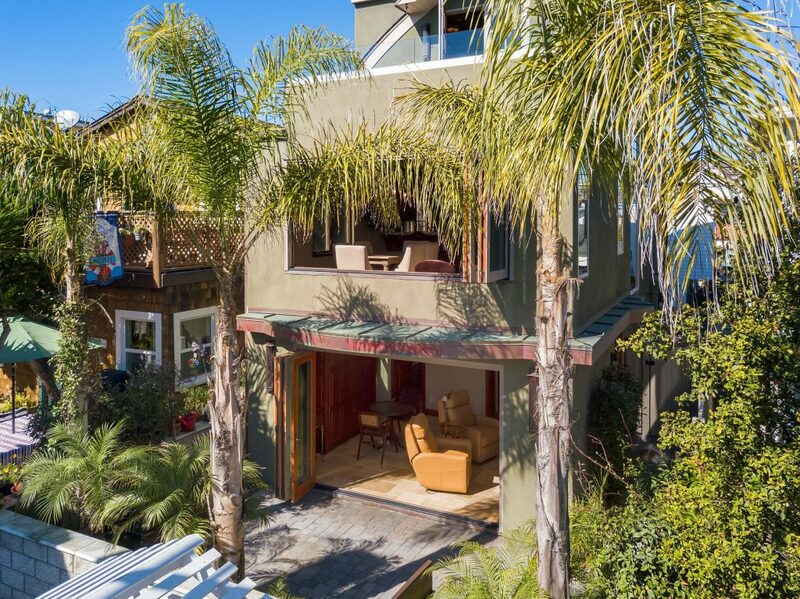 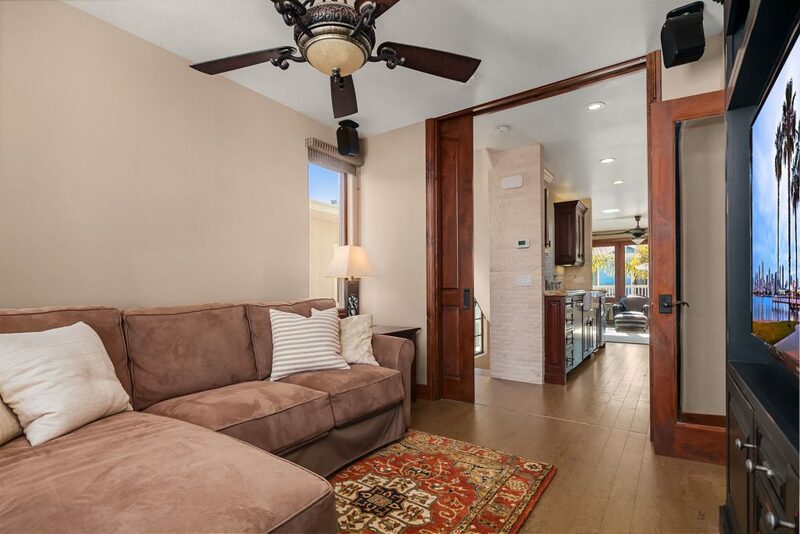 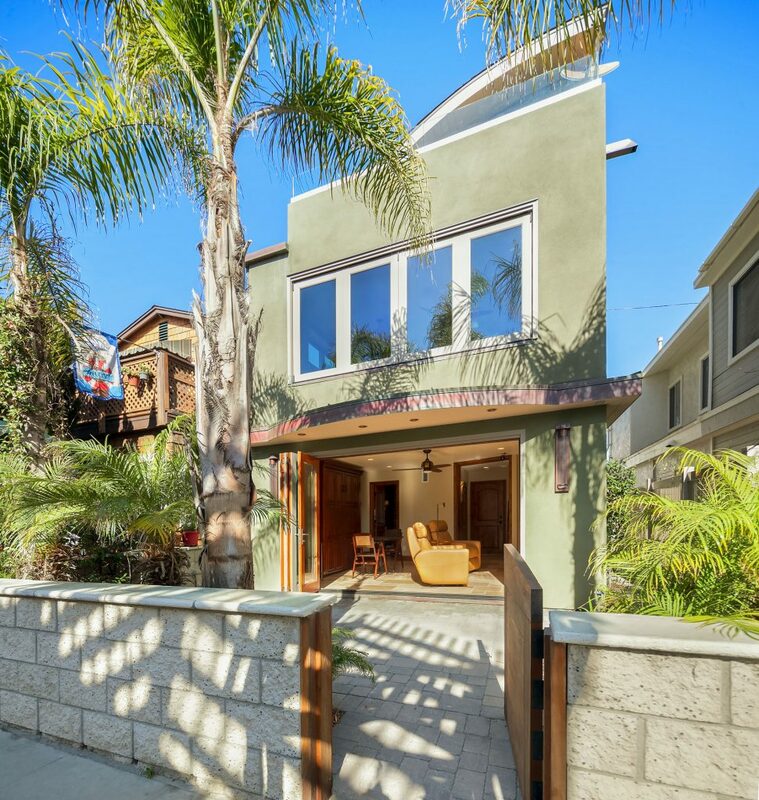 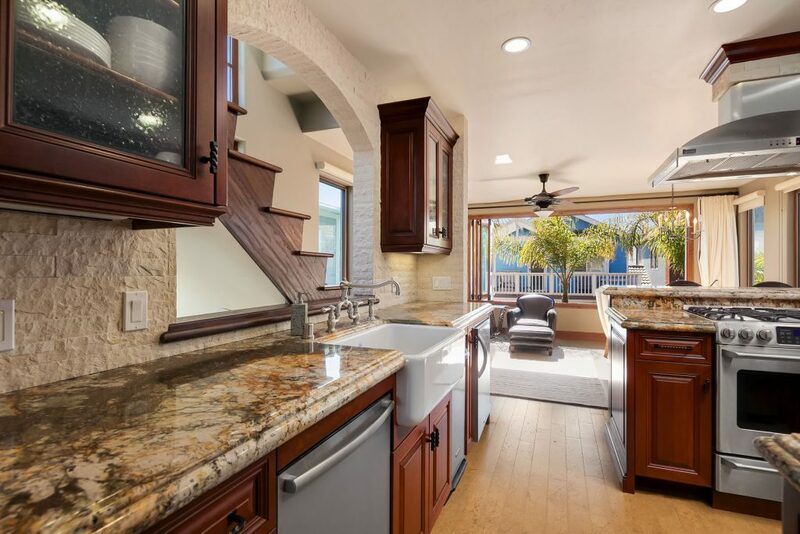 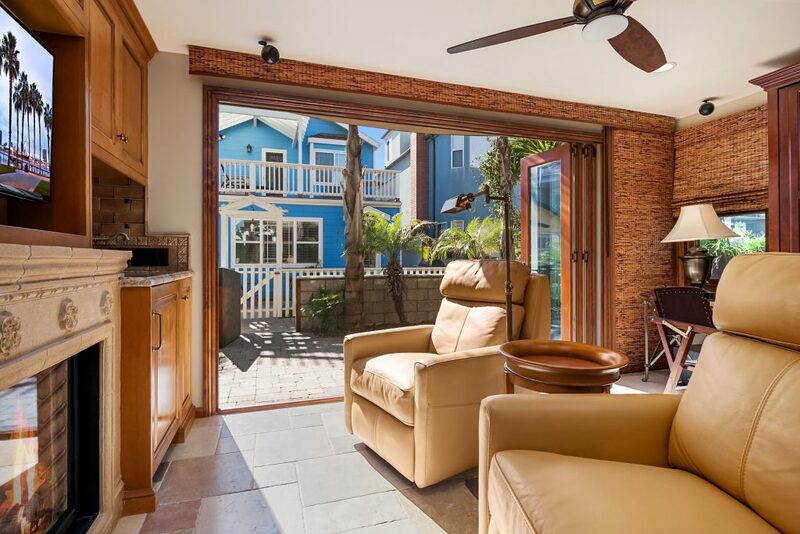 A half-cup of coffee from the beach and an easy pedal to Sail Bay and all else that makes this community so desirable, this three-level home sits squarely in the sights of any buyer looking for everything there is to love about owning in San Diego. 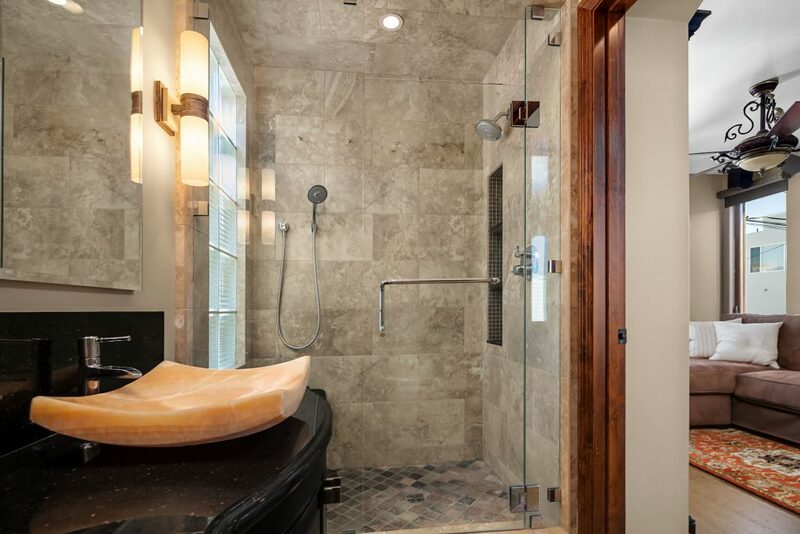 Cork flooring; polished wood finishes; custom Milgard windows; hand-milled walnut floors; ocean-view front deck; house-wide, handcrafted Hubbardton Forge lighting; cast iron plumbing; and two surround-sound equipped media centers. 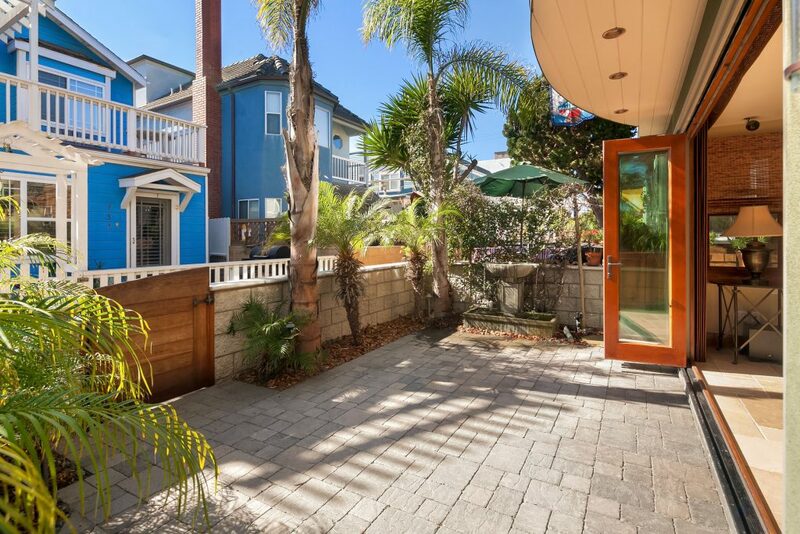 However, 732 York Street doesn’t rest on those design laurels alone. 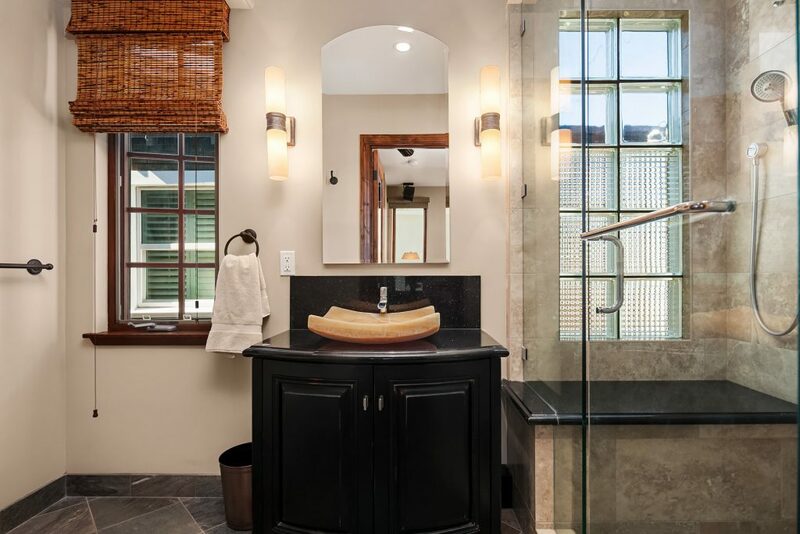 The home is as versatile as it is inviting. 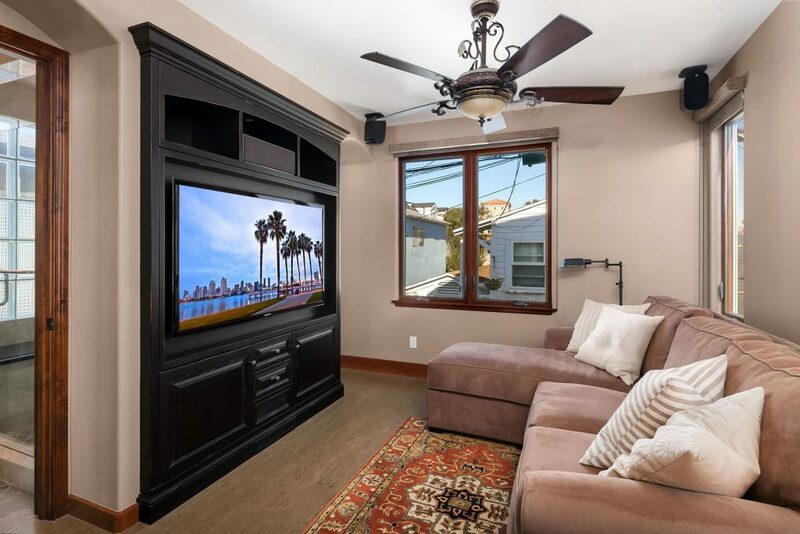 The intentionally multi-function second floor bedroom is ideal for an office, small library, or media room with wood pocket doors, built-in entertainment center, and blackout shades. 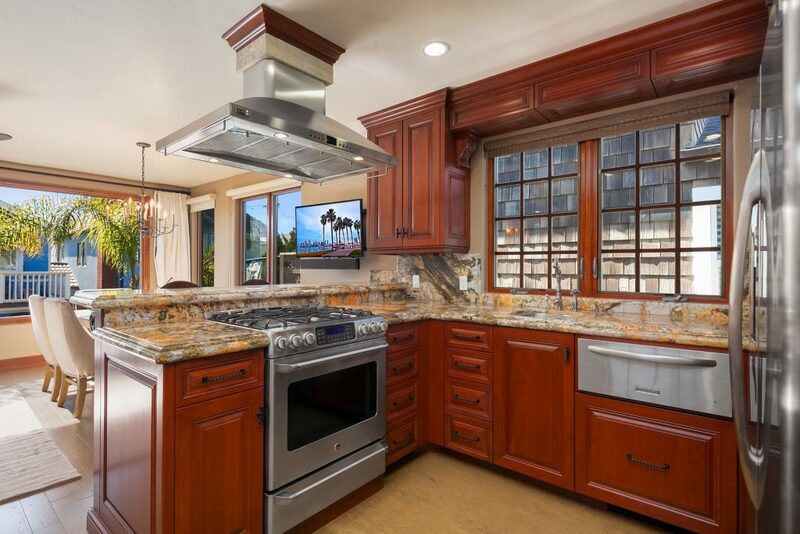 The primary living spaces are discovered on the second floor, as is the bright, elegant kitchen enriched with artisan finishes and appliance selections meant to accommodate busy weekday mornings and busier weekend nights. 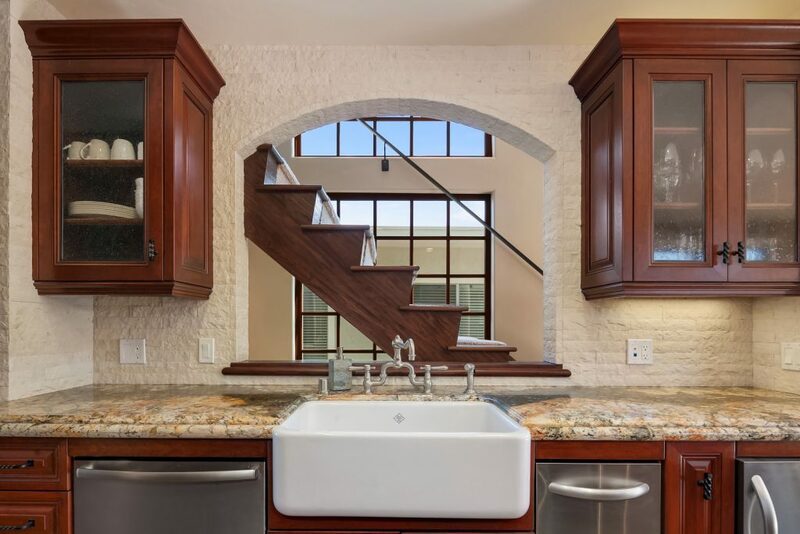 A series of architectural decisions favoring the entertainer are easily noticeable here, such as two sinks, oven with warming drawer, an accessory refrigerator (for wine and hors d’oeuvres), hearty, custom granite counters, and an arched pass-through of rough, natural white brick. 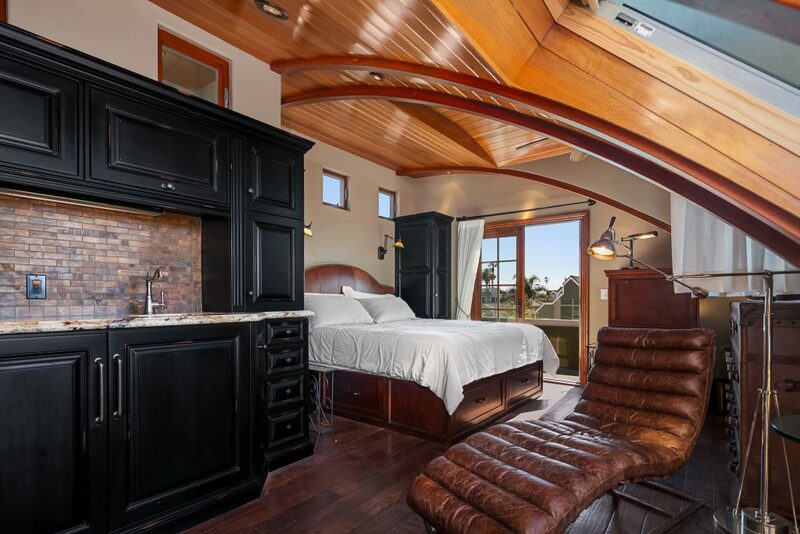 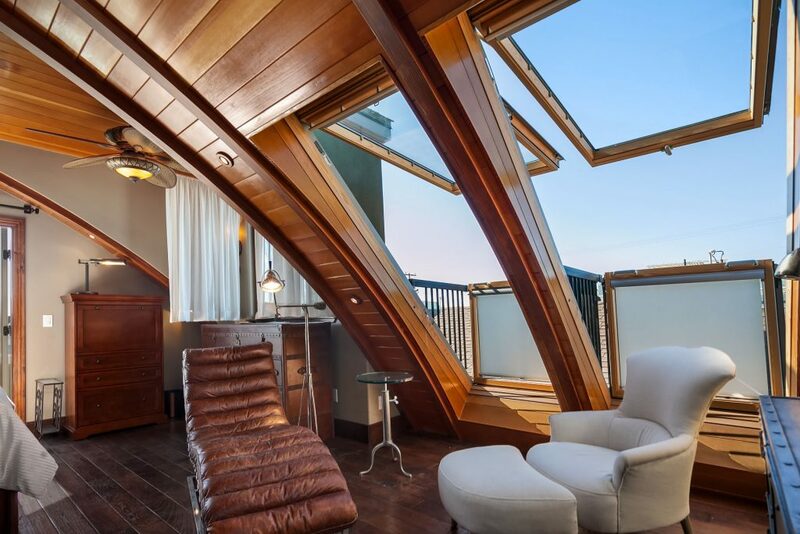 Under the Douglas Fir roof is the third-story, maritime-inspired master bedroom, suited for Sunday sleep-ins and contemplative ocean-view evenings. 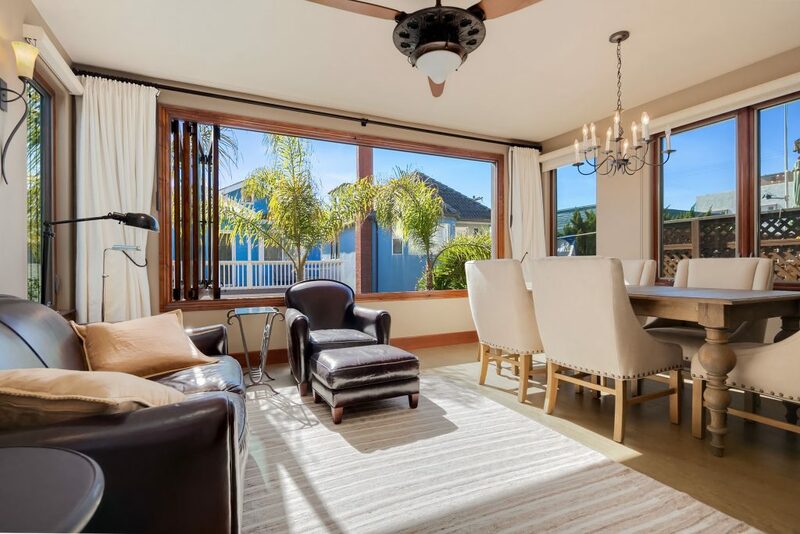 Moreover, the master showcases the home’s most stunning design touch in its arched, wood ceiling construction that flows into two, large glass skylight balconies that embrace the ocean view and welcome the coastal breezes. 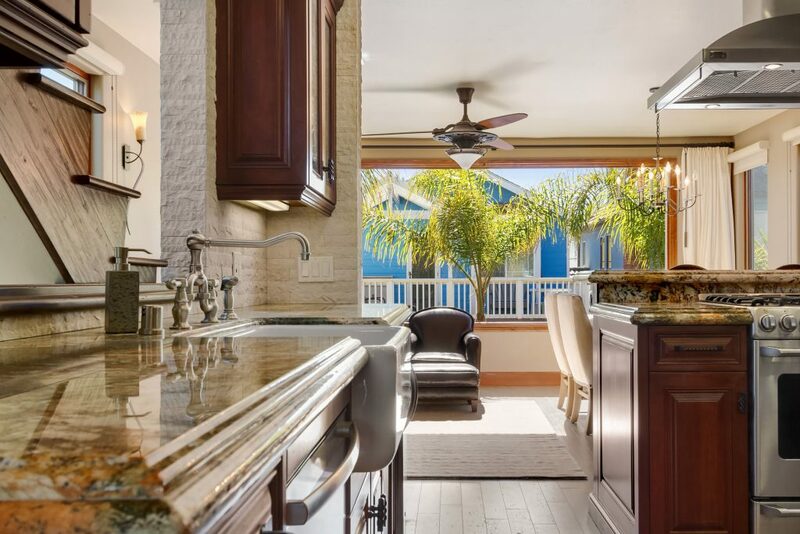 A veritable hotel suite, this staycation-inspired enclave has a kitchenette, refrigerator, sink, microwave, and copper backsplash. 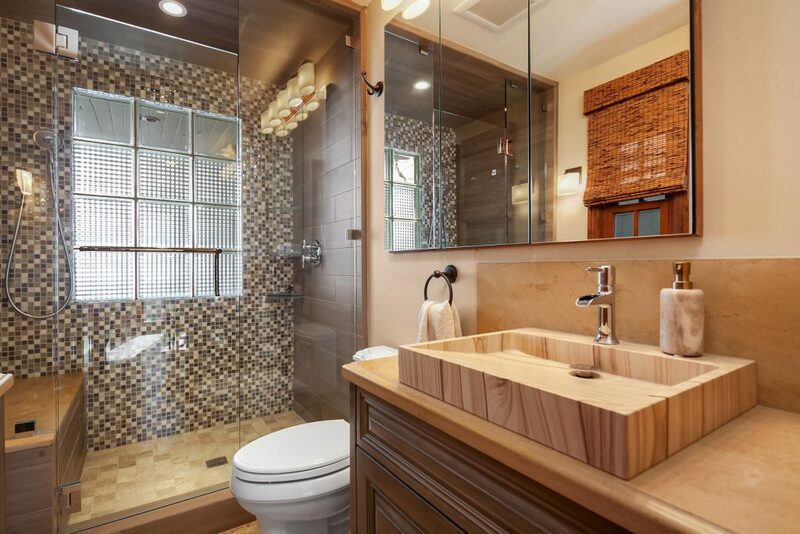 The details of the spa bath won’t surprise buyers when taken in context with the rest of the home. 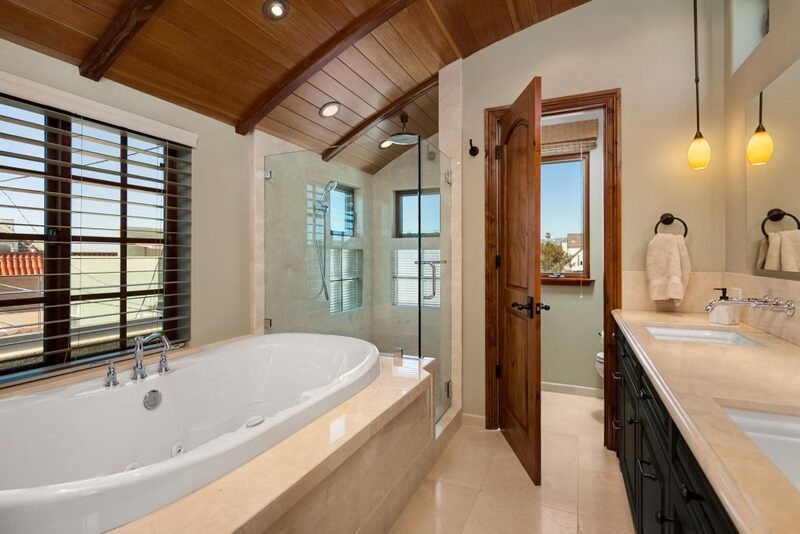 The deep two person Jacuzzi tub, multiple showerheads, and hand hewn wood ceiling clearly augment the overall appeal. 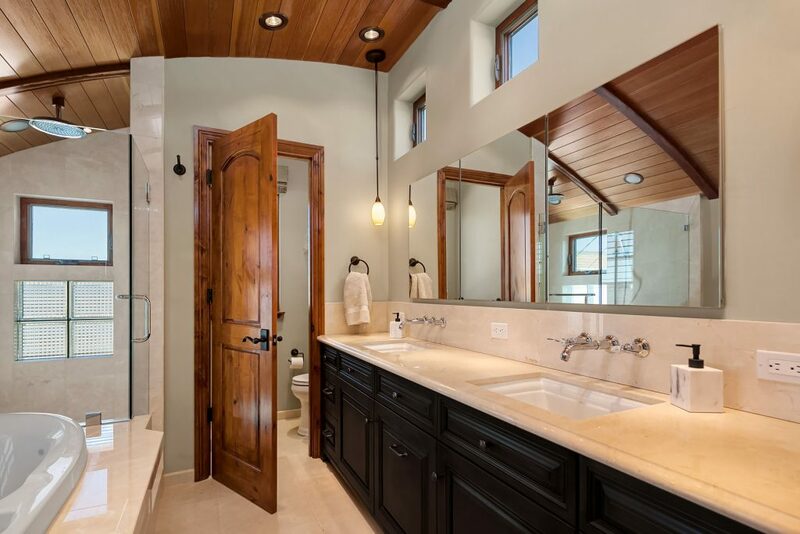 In summary, the home feels new at every turn, and seamlessly merges interior and exterior living experiences. 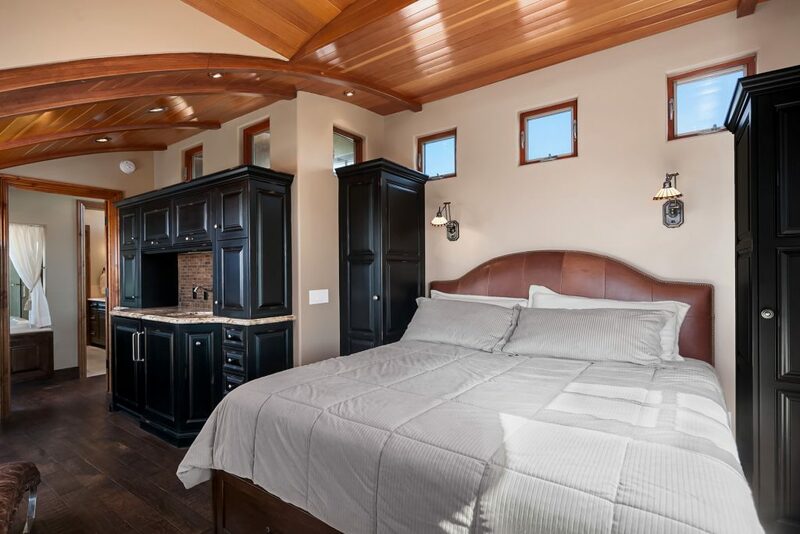 The location only makes it that more special. 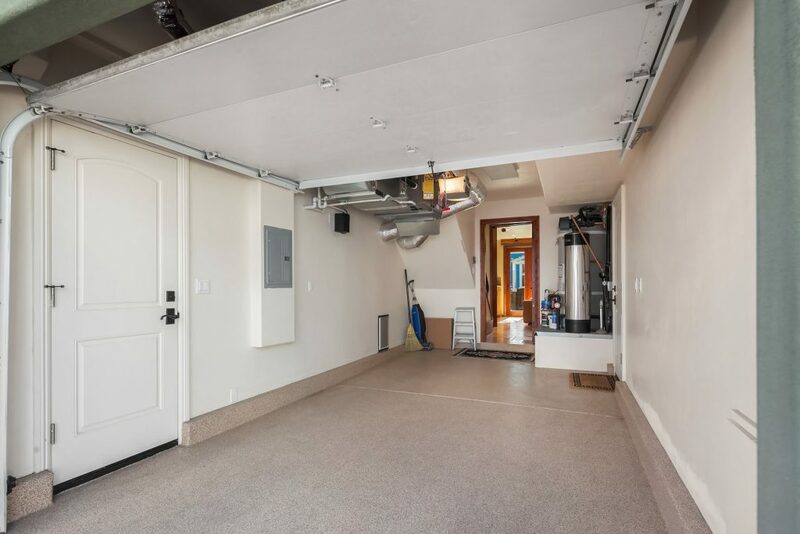 Arrange a visit to 732 York Street to take in everything described here, and to see what other buyers are already talking about. 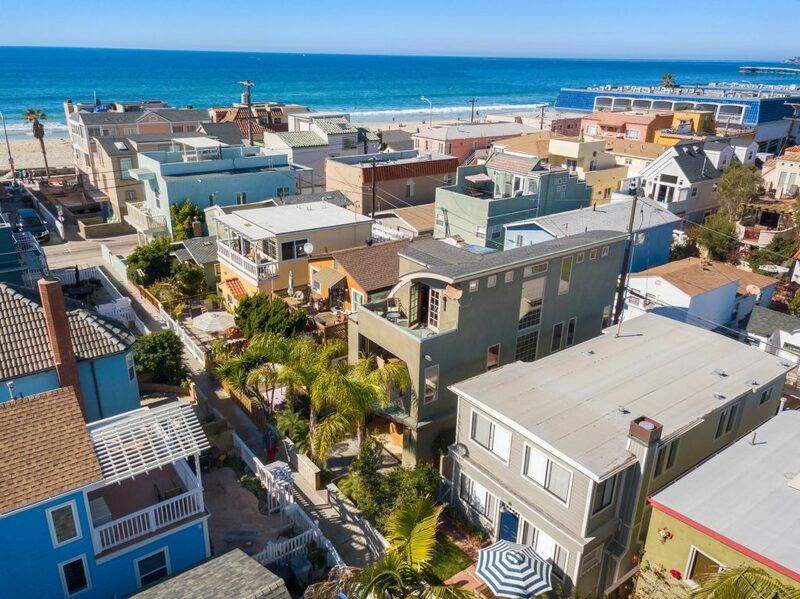 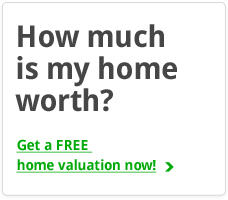 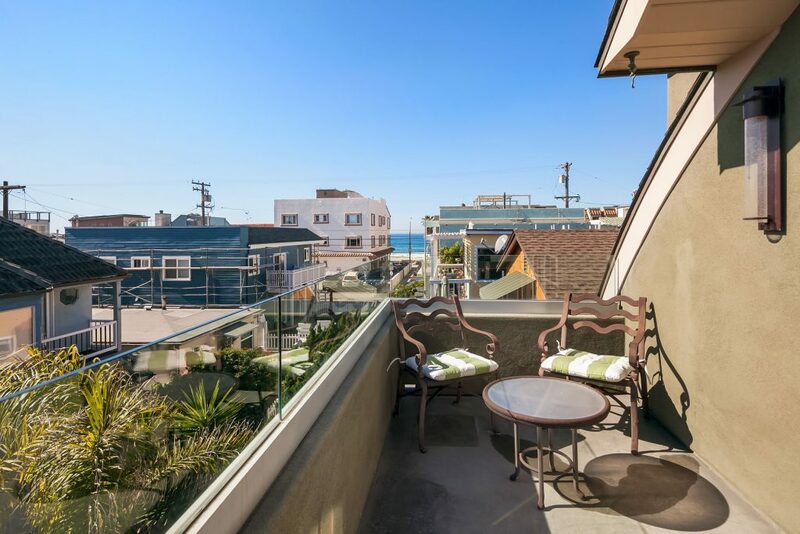 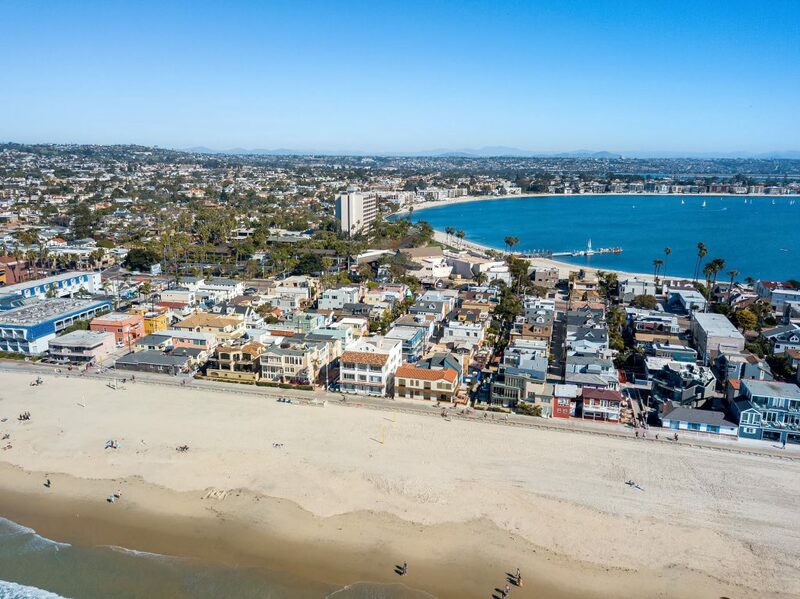 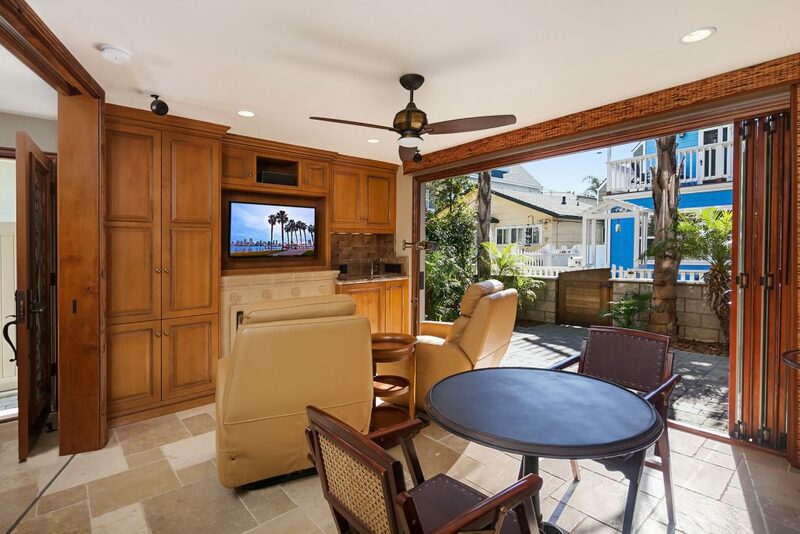 We are your La Jolla, CA Real Estate experts!